New Year's Eve is TOMORROW! 2015 is literally JUST around the corner! I created a fun little game that you can play while you are waiting to ring in the new year. 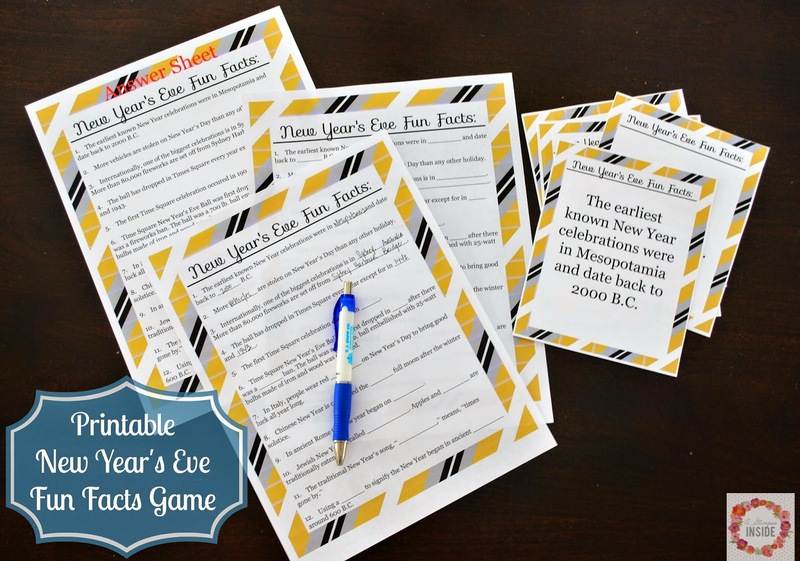 It is a fun game for adults and even kiddos full of fun facts about New Year's Eve celebrations here in America and around the world. The game consists of a fill in the blank sheet with the fun facts, an answer key, and 12 separate fact sheets. 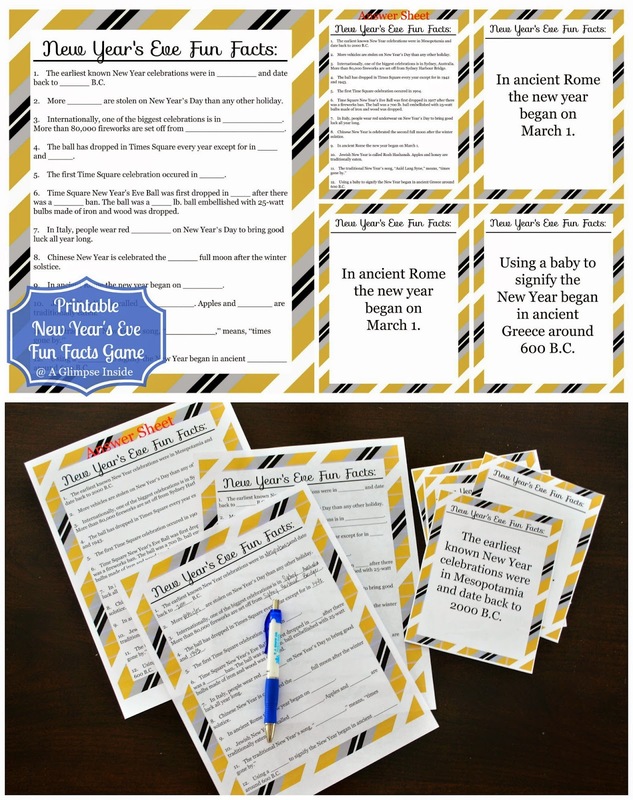 I designed it so you can print out the 12 fact sheets, I would suggest printing them as 5x6's or 4x6's and place them in frames around your space to be read throughout your party. Then, print out the fill in the blank sheets for the numbers of people needed and either let them walk around and fill in when they read each fact OR make it harder by picking up all the facts and having them fill out the facts by memory for a prize. You learn something new while playing a fun game! There are 14 sheets total so I combined them into one large PDF file and uploaded it to box.com. You can download your game below.